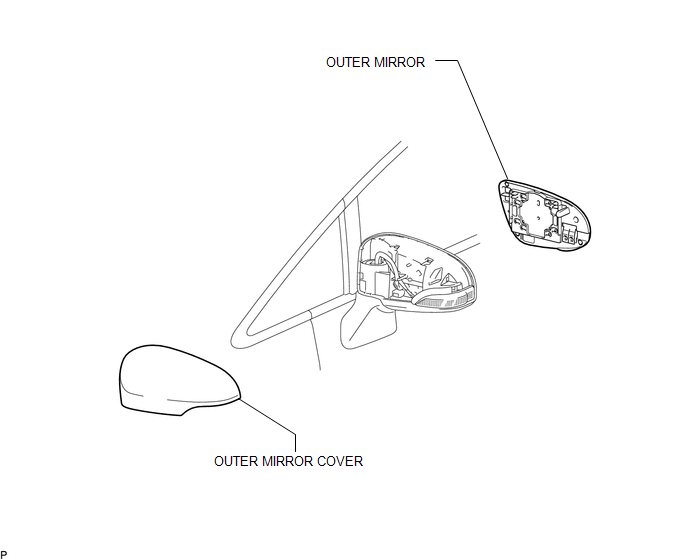 (a) Engage the 7 claws to install the outer mirror cover. 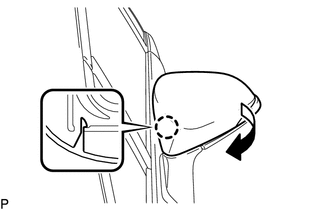 (a) Disengage the 6 claws. 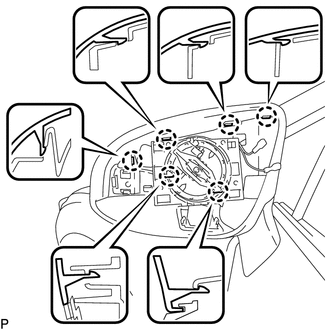 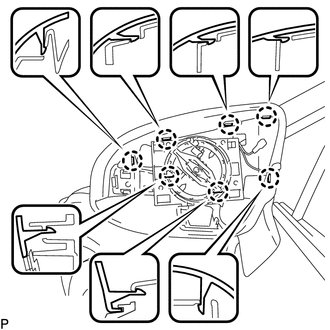 (b) Disengage the claw and remove the outer mirror cover as shown in the illustration.